The VX 120 is a unique, complete, and fully automatic diagnostic screening device. 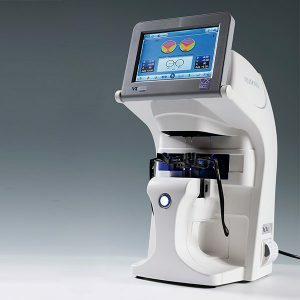 The VX 120 features variations of refraction, screening for glaucoma, cataracts, corneal pathologies such as keratoconus, and fitting of contact lenses with integrated topography. 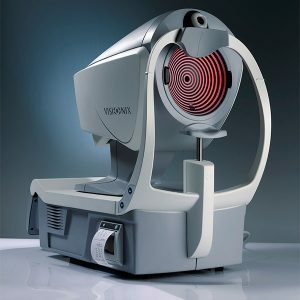 The combination of technologies found in the VX 120 are unique (aberrometry, tonometry, topography, Scheimpflug camera, etc.) 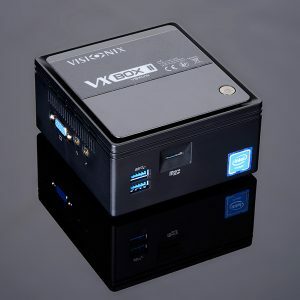 With full integration in mind, the VX 120 is designed to be able to export measurements and findings and archive your data using WiFi, USB key, office networks, etc. Succeed in all your diagnostics glaucoma and keratoconus detection identification of patients for cataract surgery with premium and/or toric implants dentification of patients for refractive surgery. 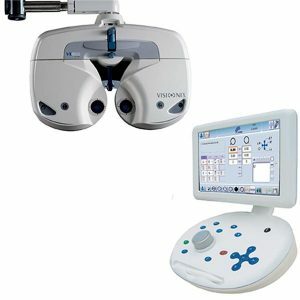 The VX130 +combines state-of-the-art technologies and provides essential data for an improved treatment of patient. The VX130+ is the ideal patient monitoring system. Our wide range of slit lamps secure the operator with superior imaging thanks to reliable optics and light technology. On the basis of well-recognised illumination concepts the operating features and illumination are positioned on top of the microscope. Excellent optics and brilliant image distinguish the VX75. 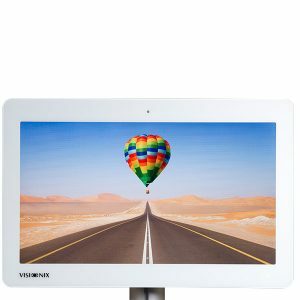 With its screen 22 ‘’, the VX22 provides a very good contrast and high brightness. But the main feature of the VX22 is the circular polarization, which provides better separation of images for binocular testing, without any «Ghost imaging». 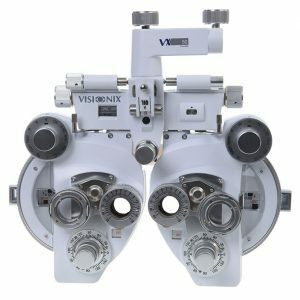 Of course, this display provides all the tests developed by Visionix display: all common tests, including ETDRS, binocular tests, color vision, contrast sensitivity. Very good contrast and high brightness. 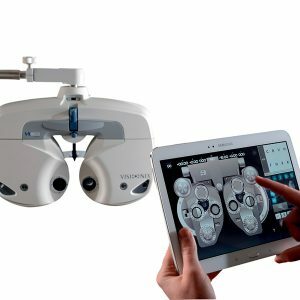 The use of the 3D polarization screen is one of the key features of this device allowing a perfect dissociation of the right eye/left eye. 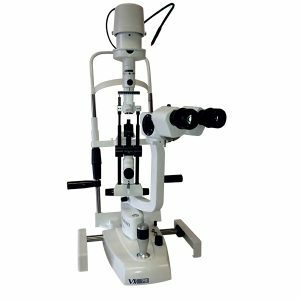 This offers the ability to proceed with many other tests with optimal quality for the exam of bi-ocular, binocular, and stereoscopic vision. With an accessible duochrome calibration (for a perfect and customized extinction of your red-green filter, whatever phoropter or trial frame you use). know-how, the VX60 lets you control refraction from start to finish. A central selector wheel using the “Light Sphere Color” technology, direct, calculation-free view of the spherical equivalent tendency thanks to colored diodes. “Easy Custom” system for easier programming of exam protocols. The software adapts to needs throughout the different steps of the eye exam. Bluetooth wireless technology for ease of installation (no communication cable) and use (freedom of movement). A new type of digital phoropter: Featuring the simplicity and comfort of a manual refractor. Digitalize your standard refractor, control the entire refraction process from a tablet making refraction quicker and easier than ever before, providing unparalleled performance and exceptional versatility. Keep your refraction habits. The VX55 from Visionix offers effortless efficiency without changing the way you work. technology. Pressing one button, you have an analysis of the entire frame. With its innovative system of ≪frame≫ support, the VX40 is the only lensmeter in the market which combines automatism with a high precision in measurement. The unique lensholder system allows a fast insertion of the frame with only one hand! After pushing the measurement button the whole process works on it’s own. The VX40 allows you to spend more time with your patients and less time with analysis. 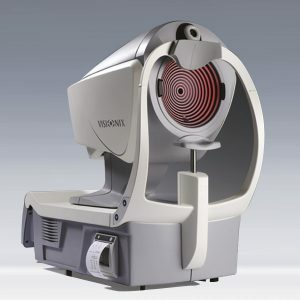 VX40 detects all types of lenses: progressives, office and single vision lenses as well as bifocals. It is compatible with all lens technologies and brands. With this instrument, each point of a lens can be studied. Progressive and freeform lenses will no longer be a mystery. The lens is studied over the whole area. So even freeform progressive lenses will be able to be compared and analyzed. VXBOXII allows you to share easily the refraction and diagnostic data between instruments.